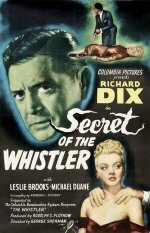 Perhaps the most gratifying but certainly the most cynical entry in Columbia's B-movie series sees painter Richard Dix pursuing Leslie Brooks while still married to Mary Currier. But what does maid Claire DuBrey know about the missing medicine bottle possibly responsible for her mistress's death? What does Brooks discover in Currier's diary after she's become the second Mrs Dix? And why is artist Mona Barrie so curious about the purchase of a headstone? Don't expect director George Sherman to give you any clues, however, as he draws you into the story and then springs his surprise with satisfying assurance.